I've been using Mailvelope. FlowCrypt is MUCH easier, more intuitive and more convenient. Easy to set up, great interface, fast response time from developer. Highly recommended. 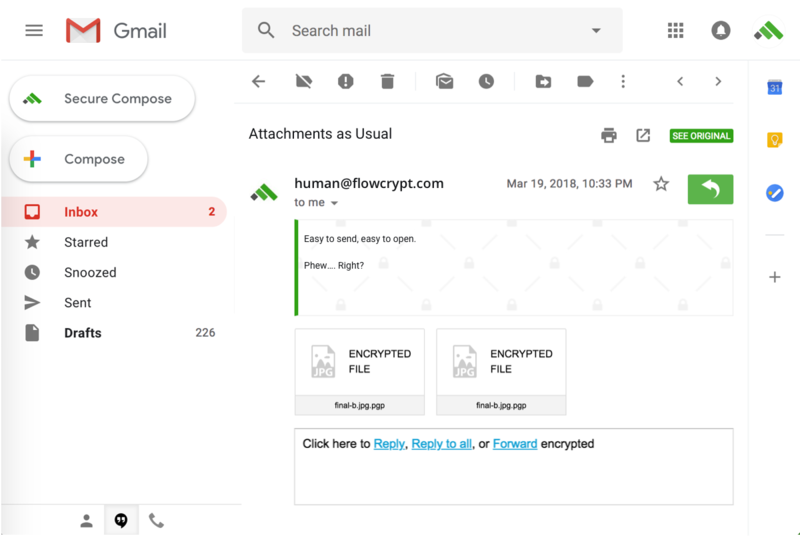 FlowCrypt simplified PGP, so sending encrypted emails and attachments is a seamless process! Great idea and very well executed! I love the fast response of developers on users' feedback. 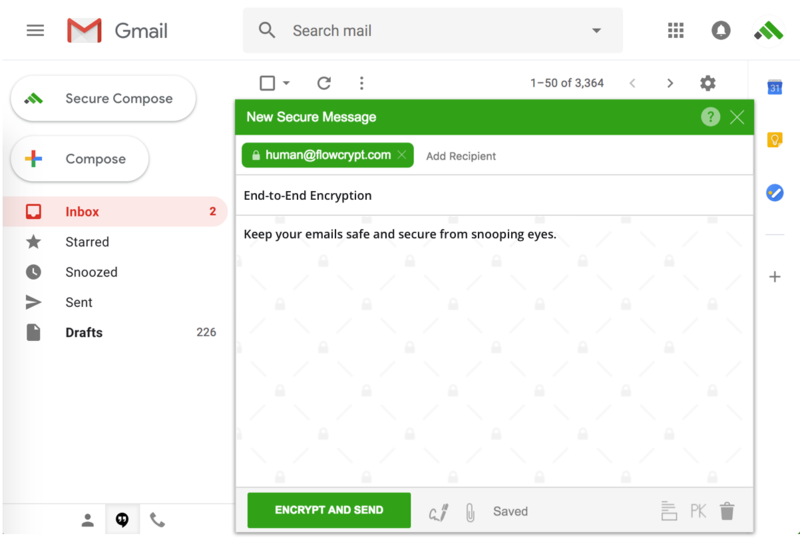 Brainless to set up, send and receive encrypted emails! This was easier than I thought, good job! This has sorted out PGP for me with gmail. Join millions of people who guard their privacy.